University of Alberta Libraries is pleased to celebrate the publication of a new book by our Associate University Librarian Dr. Denise Koufogiannakis together with co-editor Dr. Alison Brettle (University of Salford, UK). 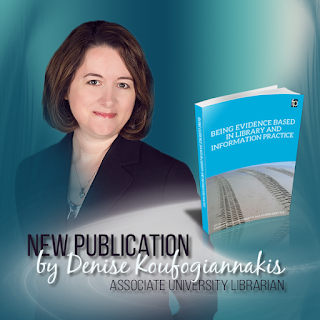 Dr. Denise Koufogiannakis is a leader in evidence based library practice, she co-founded the open access journal Evidence Based Library and Information Practice and has held several editorial positions since the journal’s inception in 2006, including Editor-in-Chief from 2009-2011. 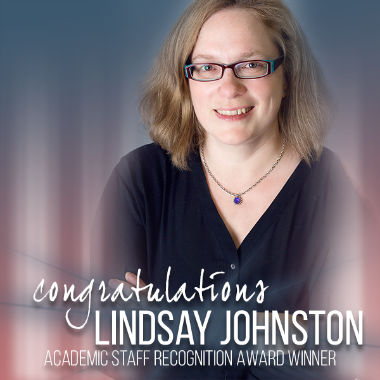 In her role as Associate University Librarian, Denise contributes to the Libraries' overall strategic direction and is responsible for collection strategies, bibliographic services, and access services. 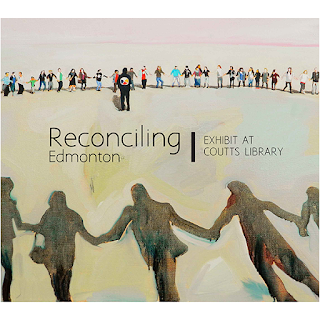 This new publication is available for borrowing from the UAlberta Library collection. Looking for survey data on public opinion here in Alberta? Check out the Alberta Survey. 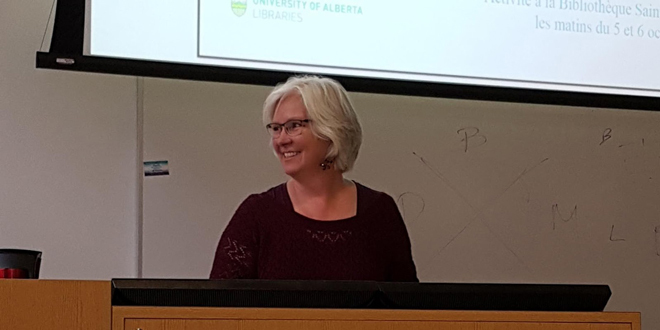 Thirty-five years of Alberta Survey data is available in Dataverse, the University of Alberta Libraries’ data repository. The Alberta Survey, previously known as the Edmonton Area Survey and the All Alberta Survey, measures the public opinion of Albertans on a diverse range of public policy concerns. Survey data, collected between 1977 and 2014, was compiled by UAlberta’s Population Research Lab in the Department of Sociology. Each dataset in Dataverse includes a downloadable SPSS data file, a codebook, and a methodology report. Survey data can be searched and manipulated within Dataverse, including the ability to search for unique variables across datasets, and perform advanced statistical analyses. Check out the Alberta Survey data in Dataverse. Need help? Contact data library staff. 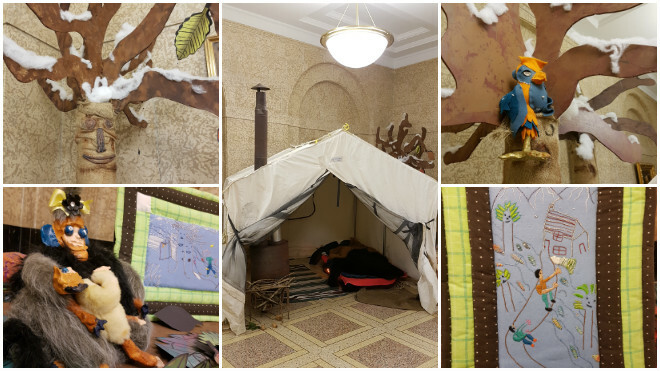 Science Literacy Week is a national week-long celebration of science in Canada. 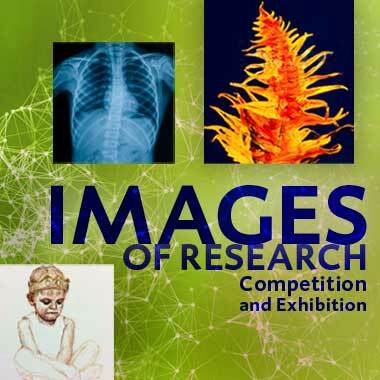 From September 19 to 23, 2016, University of Alberta Libraries will host a number of presentations, demos, and displays showcasing the diverse scientific research conducted by staff and students all across the University of Alberta. From paleontology and particle physics, to citizen scientists and satellites, the breadth of knowledge and research is amazing! 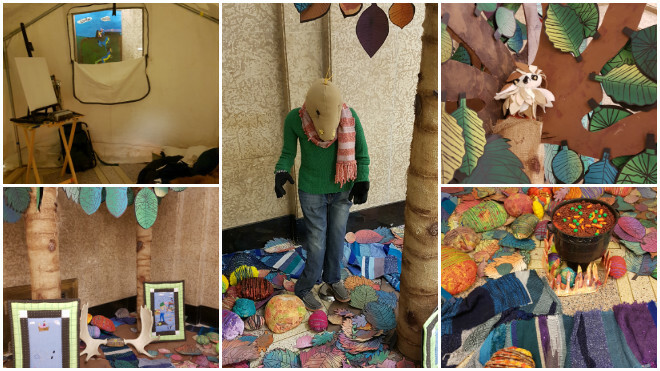 Science Literacy Week gives students and staff the opportunity to get up close and personal with scientific research and learn what goes on behind lab room doors from those who are passionately curiously about their research and work. So put on your lab coat, find your best beaker, and check out the schedule for a complete list of events! 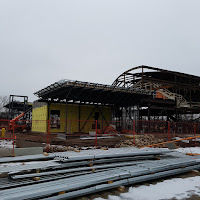 There has been a lot of progress at the RCRF building site on South Campus since our last update in July. 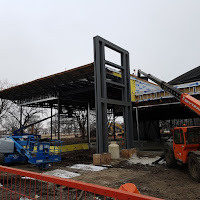 Slab has been poured and the framing of the building has begun. In addition, RCRF Planning Team members and other library staff have been engaged in a range of other activities to ensure that the right collections are moved to the RCRF, that they are findable throughout the move process, and that archival materials in particular are adequately preserved in their new location. Microform collections, currently in various locations, are being evaluated for consolidation at the RCRF in a cold room, specifically designed for holding microfilm, microfiche, and photographs. 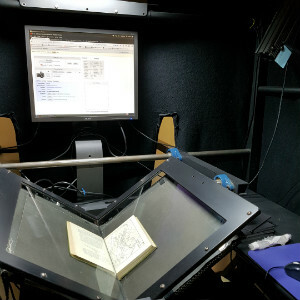 With the first module of our new inventory software complete, staff at the Book and Records Depository [BARD] will be undertaking a project to barcode all shelves so that items can be easily located throughout the move process. 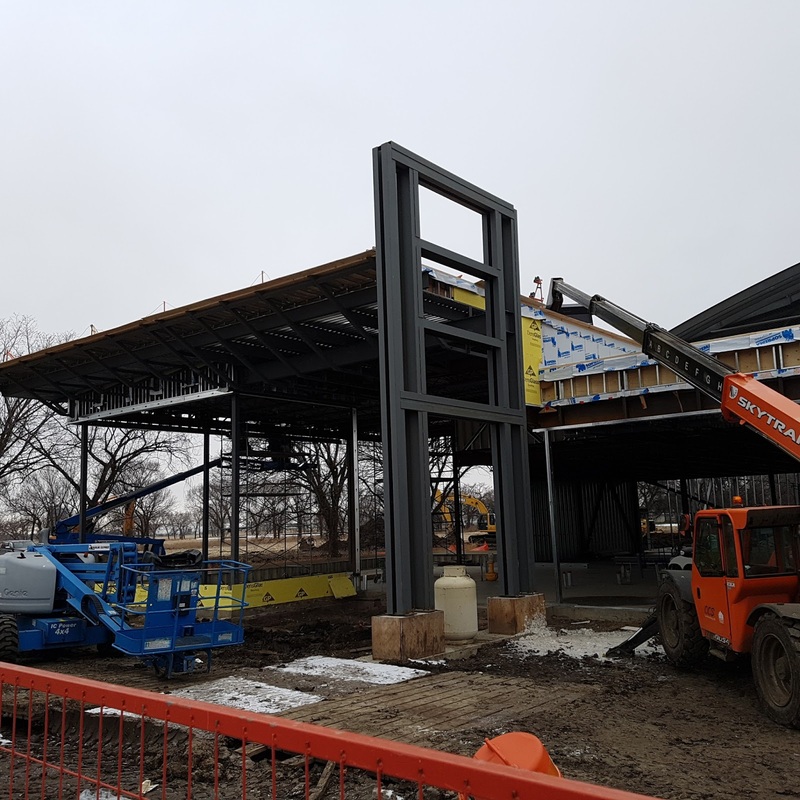 This project will require the hiring of a few additional staff and the leasing of an additional cherry picker. Staff use the cherry picker to reach our highest shelves at the BARD. A Preservation Development Advisor from the Canadian Conservation Institute, Department of Canadian Heritage visited the library this summer to conduct a facility assessment of the RCRF and make recommendations regarding what is needed for it to meet requirements for Category A designation with the Movable Cultural Property (MCP) Program. 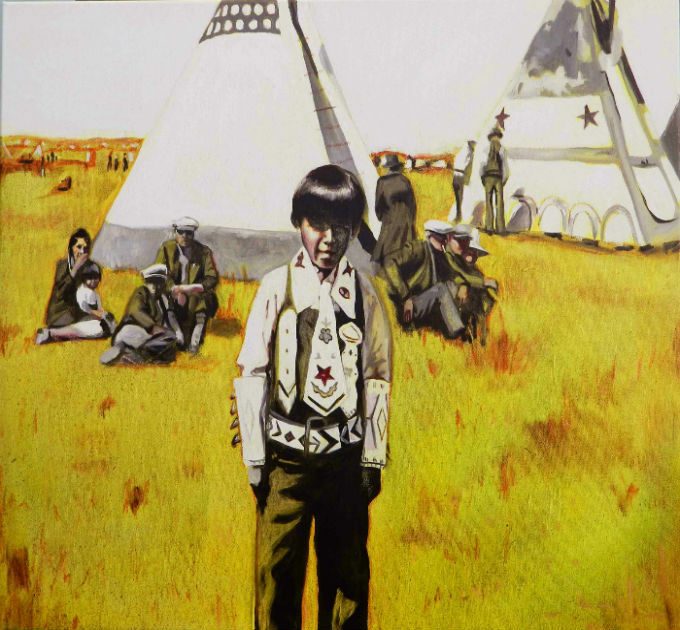 This designation, which University of Alberta Archives has had since 1978, gives access to tax incentives and grants for the donation or purchase of cultural property considered to have outstanding significance and national importance. To maintain this designation, the Archives - which will be moving into the RCRF - is expected to demonstrate an ability to ensure the long-term preservation of cultural property and to make it available to the public. A working group, which will be chaired by Robert Desmarais, Head, Special Collections & Archives, is being formed to ensure that all operational requirements are met to maintain this designation. Post any questions or feedback below and and we’ll get back to you! A small portion of the budget has been set aside to respond to student requests for textbooks that fall outside of these priorities. Suggest a purchase. In order for as many students as possible to use these textbooks, they are made available in Library Reserve Collections, and may be borrowed for 2 hours during library hours. Take advantage of some four-legged TLC this fall! 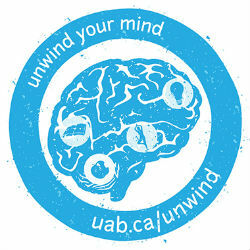 Throughout the term, UofA Libraries, in association with Unwind Your Mind, will be welcoming therapy dogs from the Chimo Animal Assisted Wellness and Learning Society (CAAWLS) to four of our north campus libraries (Rutherford, Cameron, John W. Scott Library and the Education Library). Pet therapy has been shown to be a fun, enjoyable way to decrease feelings of loneliness and anxiety. Therapy dogs are wonderful listeners, love meeting new people, and are happy to indulge in a cuddle. We invite everyone to take break from their work and studies to spend some time with these canine therapists. And remember, nothing brightens everyone’s day like dog photos. Share selfies of you and your favourite therapy dog on Facebook, Twitter and Instagram: #CAAWLS, #dogsinthelibrary, and #uofalibraries. We’d also love to see them in our Twitter feed, @uofalibraries. Do you want to make a difference on campus? Interested in having a voice in the Libraries at the University of Alberta? 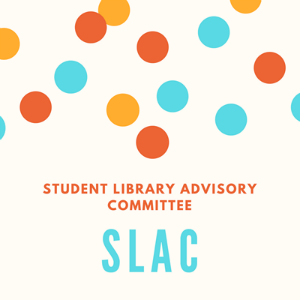 Apply to become a member of the University of Alberta's Student Library Advisory Committee (SLAC). Previous committee members have played an active role in helping the Libraries make key decisions related to its technology lending pilot program, Course Textbook Initiative, new furniture purchases, and web site usability. The University of Alberta Libraries (UAL) is pleased to announce the availability of its subscription expenditures data 2014-2016 via UAL’s Dataverse Network. The release of this data furthers UAL’s commitment to its core principles of accountability, openness and transparency and aligns with key objectives in the University of Alberta’s Institutional Strategic Plan related to transparency, the timely communication of information, and access to shared, reliable institutional data. “While we can’t anticipate how people will make use of this open data set, we are excited to provide access to it in support of continued creativity and innovation within our community,” commented Denise Koufogiannakis, Associate University Librarian for Collection Strategies, Bibliographic Services, and Access Services. This data set is just one of many currently accessible via the UAL open data web site, which includes APIs for a wide range of scholarly resources and UAL bibliographic data, open source code for various UAL development projects, metadata records for select collections, and UAL library statistics and survey data. Please contact the Collection Strategies Unit at csu@ualberta.ca for questions or feedback about this data. 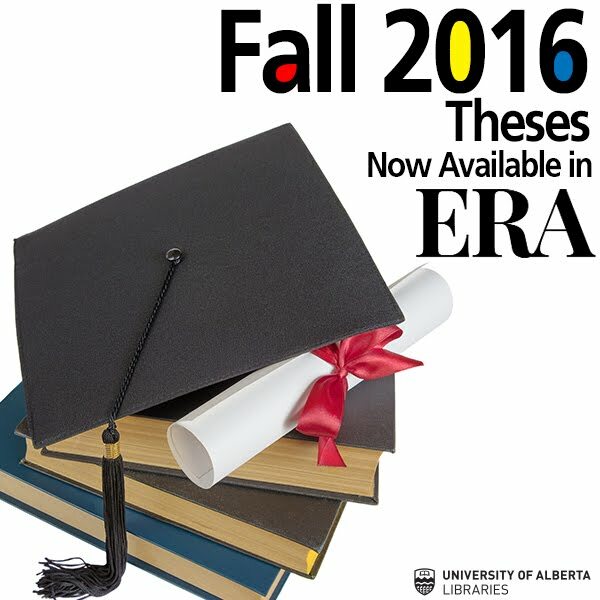 Over 336,000 People Have Accessed UAlberta's Hosted Open Access Journals! Have You? Open Access journals hosted by the University of Alberta Libraries have been viewed for free by almost every country in the last year. More than 336,000 users have visited our journals nearly half a million times. 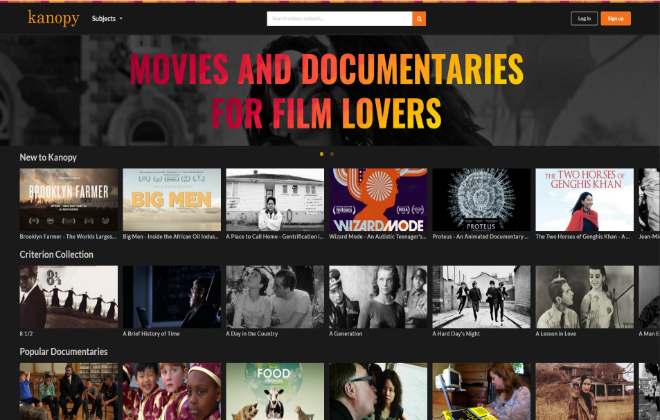 Have you accessed any lately? We host nearly 40 online journals using a popular open source software, Open Journal Systems. Each of our journals are edited and managed independently by diverse groups, such as scholarly societies, research groups, and student associations. They publish articles across a wide range of disciplines, from English to Pharmacy, but all share a common element: their articles are available entirely free of charge, to anyone who wants to read them. Our journals have attracted readers from countries around the world. Not surprisingly, Canada, the United States, the United Kingdom, and Australia are our most frequent visitors. However, India, Germany, China, South Africa, Brazil, and Indonesia also make the top ten list. Visitors from the Turks and Caicos Islands spend the most time per visit on our site, while visitors from Iran have some of the highest rates of return visits. The only countries not represented are North Korea, and the Central African Republic. Open access journals can be critical sources of high quality research information for scholars, students, practitioners, and the public, especially those who may lack access to well-resourced libraries or research centres. 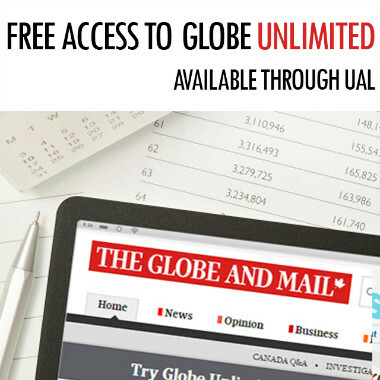 and we’re pleased to provide our hosting service free of charge to any Canadian journals who commit to making their content open access. For more information about the UAlberta Libraries free journal hosting service, please contact ojshelp@ualberta.ca. We are keeping apace with our planning for the new Research and Collections Resource Facility (RCRF). In fact, one of our key updates is that we’re considering a new name for the facility which better captures its function and sense of place…Bookmark. What do you think? Please comment with your feedback below. 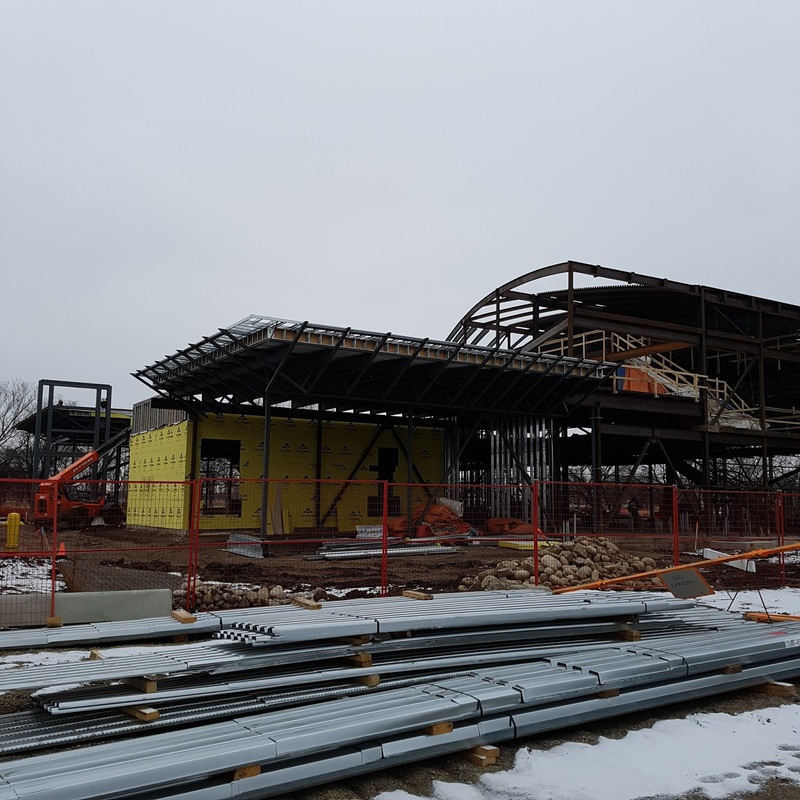 At the building site on South Campus, you’ll see that the RCRF is literally taking shape! 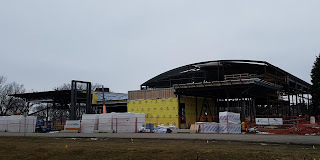 The images below capture highlights from construction in June. We hosted a stakeholder focus group to solicit input regarding the RCRF’s public spaces - the reading room and multi-purpose room. Feedback from this group crystallized recent decisions regarding carpets, paint colours and furniture. CJ de Jong, our Access Services Coordinator and a key member of our planning team, recently visited the University of British Columbia’s Library Preservation and Archives (PARC), a similar storage facility, to learn more about their workflows, shelving and software. Gleanings from this trip, and others to date, will continue to inform our planning process going forward. Larry Laliberte, our Geographic Information Systems Librarian, has been reviewing our map collection at BARD to identify potential candidates for digitization and ready the collection for its relocation to the RCRF. We are working with Spacesaver to finalize our shelving needs. 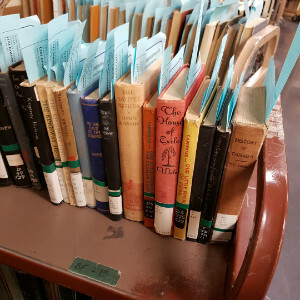 We’ve also been talking quite a bit about how and when best to manage the process of cleaning collections as they are moved from BARD to the RCRF. This is much more complex than you think. Stay tuned! 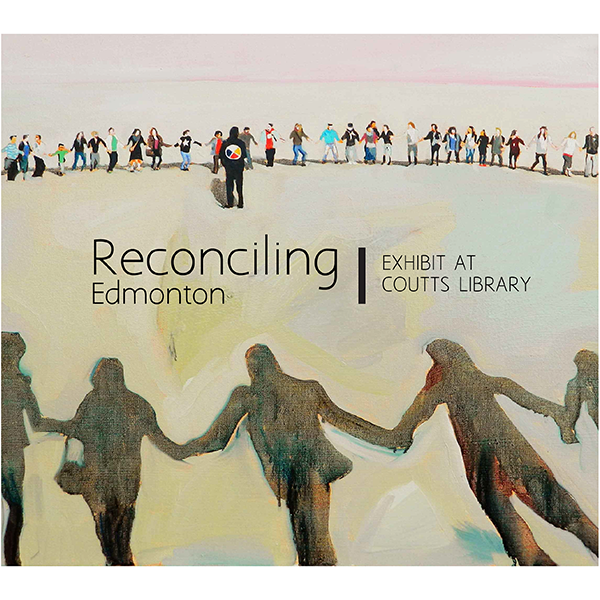 The University of Alberta Libraries are committed to being a welcoming space for all our users. As part of our ongoing courtesy campaign, we want to draw your attention to the potential effects of scented products on others in our community. Scents are added to many personal hygiene products and detergents and those with a sensitivity to scents can often suffer a range of impacts due to even short-term exposure. 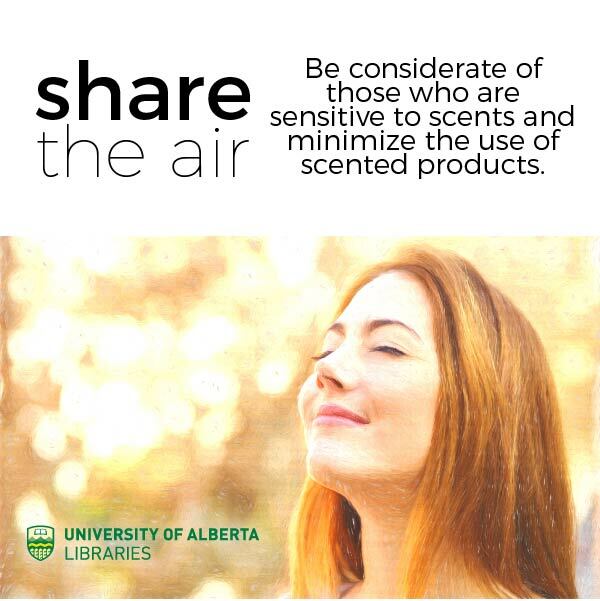 Please be considerate of those who are sensitive to scents and reduce your use of scented products while in library spaces. 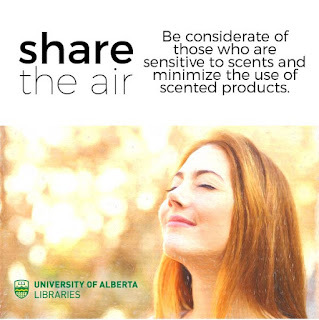 Our efforts to heighten awareness of this issue dovetail with those of our broader University of Alberta community, which is striving to create a scent-reduced environment by promoting the use of environmentally-friendly cleaning products and building materials. Your cooperation in limiting the negative impact of scents on students, staff and visitors is greatly appreciated.